Achieving sustainability will enable the Earth to continue supporting human life as we know it. 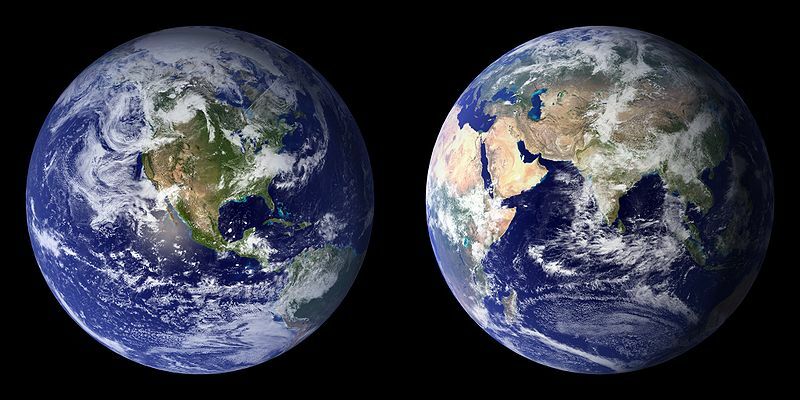 “Blue Marble” NASA composite images: 2001 (left), 2002 (right). Sustainability is the capacity to endure. For humans, sustainability is the long-term maintenance of well being, which has environmental, economic, and social dimensions, and encompasses the concept of union, an interdependent relationship and mutual responsible position with all living and non living things on earth. This philosophical interpretation moves well beyond definitions driven by progress oriented economic perspectives that see humans as providing stewardship, the responsible management of resource use. In ecology, sustainability describes how biological systems remain diverse and productive over time, a necessary precondition for human well-being. Long-lived and healthy wetlands and forests are examples of sustainable biological systems. Human sustainability interfaces with economics through the social and ecological consequences of economic activity. Moving towards sustainability is also a social challenge that entails, among other factors, international and national law, urban planning and transport, local and individual lifestyles and ethical consumerism. Ways of living more sustainably can take many forms from reorganising living conditions (e.g., ecovillages, eco-municipalities and sustainable cities), to reappraising work practices (e.g., using permaculture, green building, sustainable agriculture), or developing new technologies that reduce the consumption of resources.